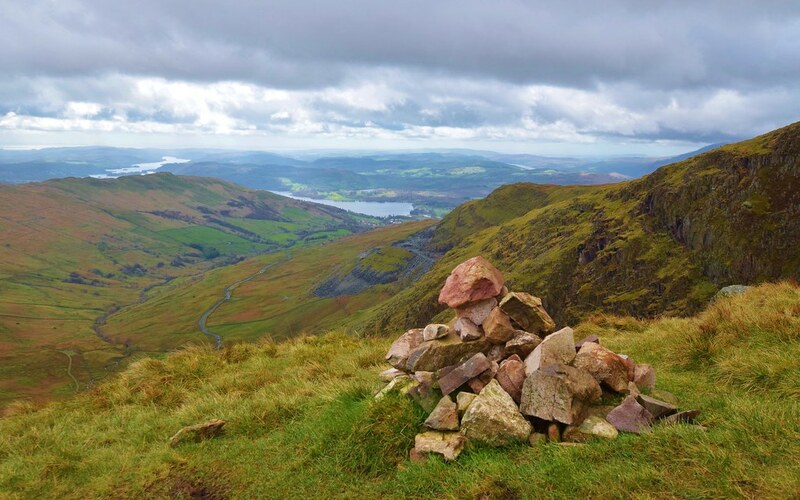 If you love hiking and the outdoors then camping in the Lake District is a perfect trip for you. Situated up north in Cumbria it covers a huge area so it’s impossible to cover it all in a weekend. There are many places that you can stay. The area is full of cute little guest houses, cottages and B&Bs. However, I am a fan of camping and enjoying nature as close as I can. Low Wray campsite overlooked Lake Windermere, the longest lake in England, over 10.5 miles long so plenty of camping space for everyone, with awesome views! 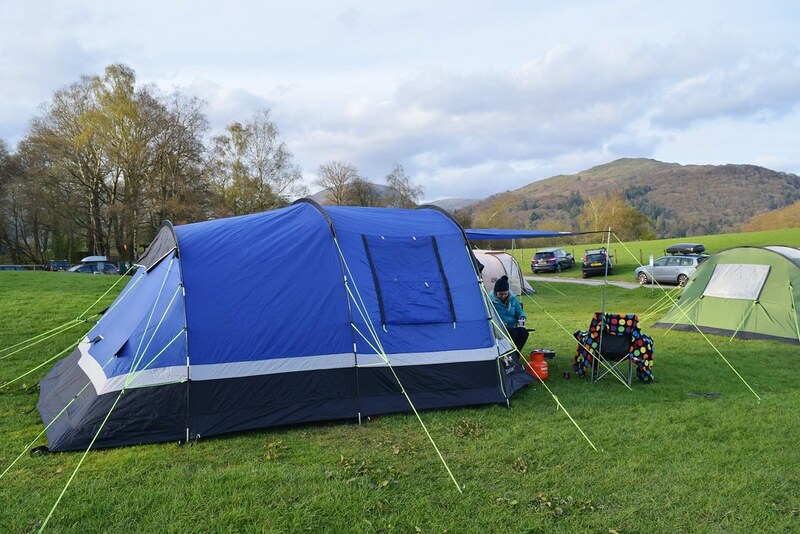 Low Wray Campsite is on the north shore of Lake Windermere and is a National Trust campsite. A bit more expensive, but you definitely get what you pay for with great views and facilities. Remember you’re in the UK, it still gets cold at night. Don’t forget your warm clothes! I love my hiking as you can probably tell from my earlier posts. And I am not shy about climbing the odd mountain or two whilst on my travels. There are some stunning mountains in the Lake District, including Scafell Pike (978m), the highest mountain in England. One day I will actually climb it…. watch this space! Update – reached the top in September 2017, yippee! Instagram evidence here! These below activities are relevant for both hikers and non-hikers. 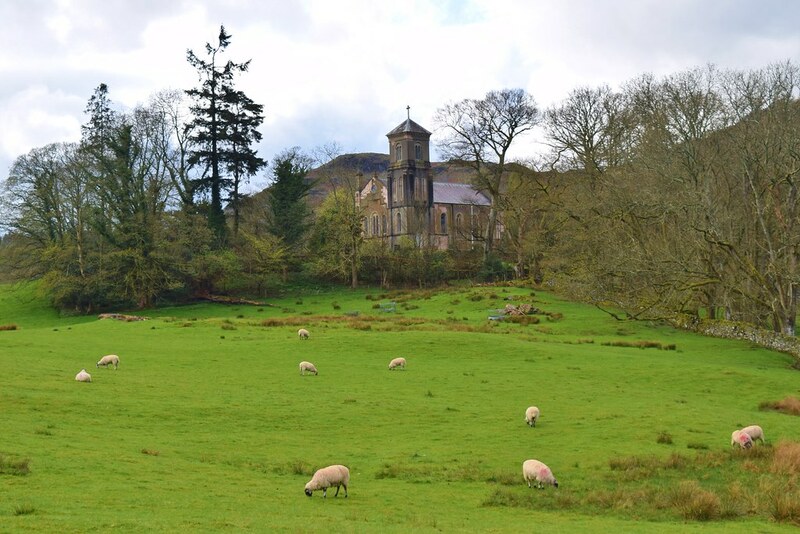 I have included a mix of shorter walks and activities to suit all abilities visiting the gorgeous Lake District. Red Screes starts steeply almost immediately. On leaving the car park the path takes you up rocks, made into natural steps. Looking left as you climb you can see Lake Windermere in the distance. 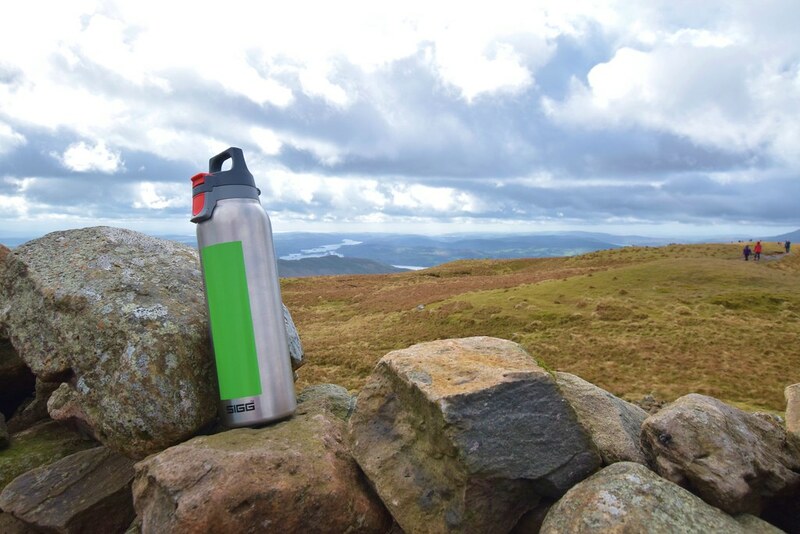 Summit views and my Sigg for a peppermint tea! Parking – Kirkstone Inn (donations to support the upkeep of the Lake District). They do great food here for after your walk! Timing – 2 hours to 2 hours 30 mins. Equipment – Walking boots highly recommended, plus waterproof gear as the weather can change quickly. Also a flask of something hot as it’s flipping cold at the top! I love my ‘Sigg Hot and Cold One 0.5l‘**. Perfect for my favourite peppermint tea as it includes a filter too. I came across this walk by accident, whilst driving the road between Ambleside and Grasmere (one road). The sign intrigued me so I created a mini detour to our original plan, but hey that’s all part of the fun. 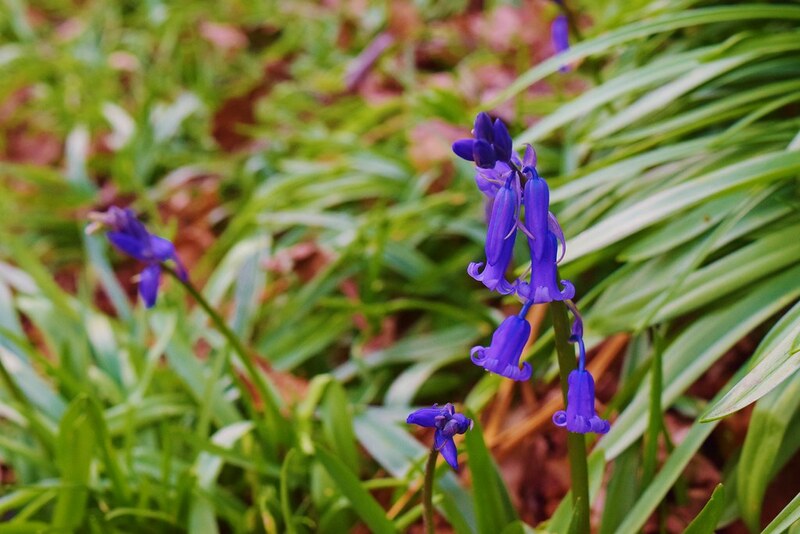 Follow the path through the beautiful woods, in Spring the ground is covered with bluebells. After leaving the woods the lower path takes you alongside Rydal Water; whereas the upper path leads you to Rydal Caves. You can easily take one path on the way there and the other on the way back. There are two caves you can explore, one which involves a bit of climbing. Inside it’s pretty damp, proper shoes recommended otherwise you will get wet feet (I was wearing sandals – bad decision!!). The second cave is more explorer friendly with big stepping stones. And the view back out looks pretty cool with the sun shining back in. Parking – Car registration recognition (no tickets required). Pay on departure. Equipment – Walking boots not required. I would always take waterproof gear as there’s no shelter. 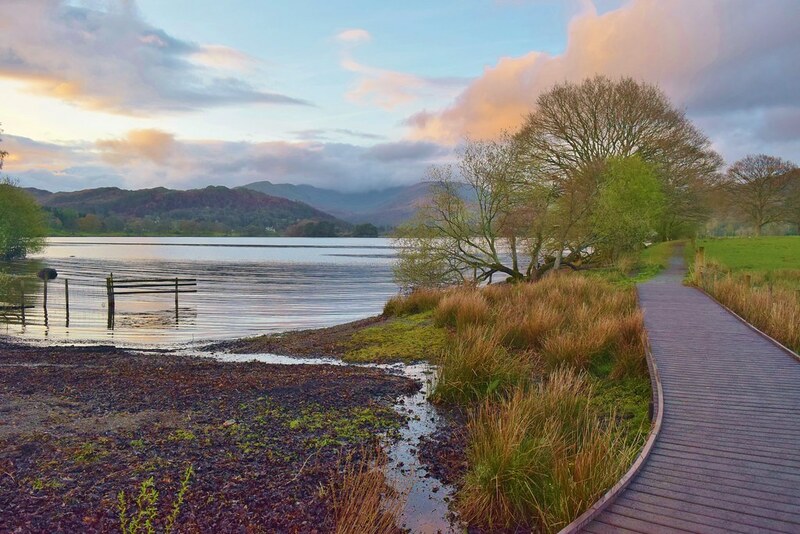 From our campsite, it’s a 4-mile walk into Ambleside. The path takes you through a wooded area which is full of bluebells during the Spring. And there’s various wildlife to spot on the way, from sheep, cows to herons. Timing – 1 hour 30 mins to 2 hours (each way). Equipment – Walking boots not required. I would always take waterproof gear as no shelter on the walk. 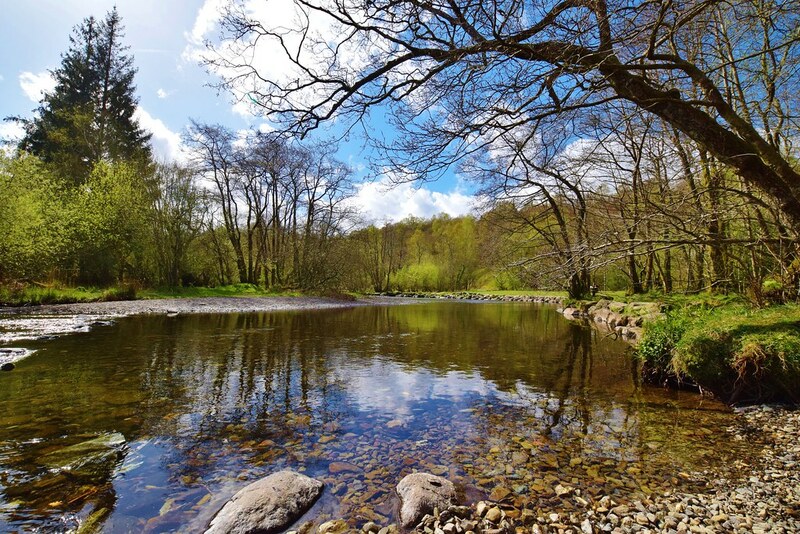 Another benefit of camping in the Lake District and in particular Low Wray campsite was another beautiful walk. 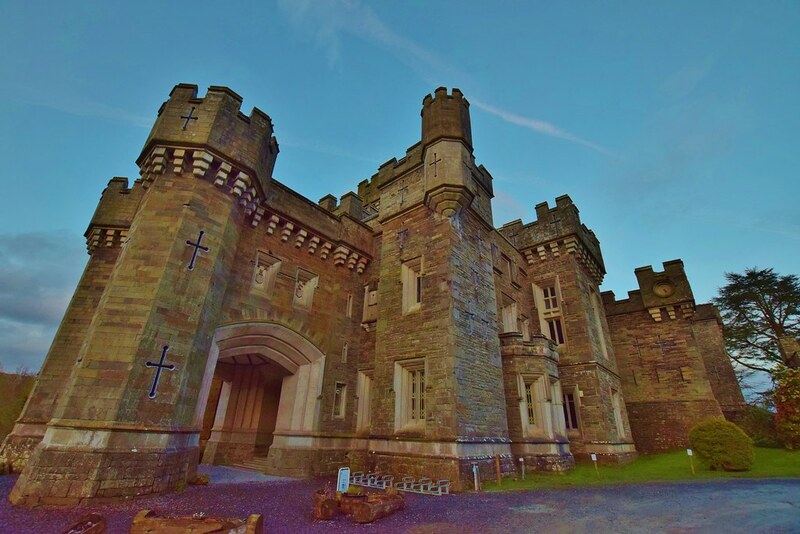 This takes you straight out the campsite to Wray Castle. It’s a very short walk, although can take longer as you are easily distracted walking alongside the lake. Also, a National Trust site which you can now visit inside, prices below. Timing – 20-30 mins (each way). Equipment – Walking boots not required. 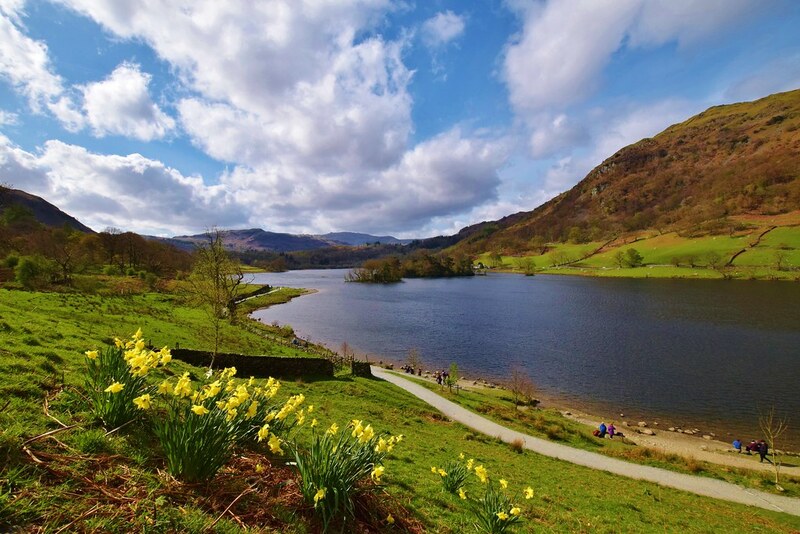 The last place that is worth a visit is the lovely village of Grasmere. Slightly smaller than Ambleside but still has all your gift shop and cafe needs after a walk. 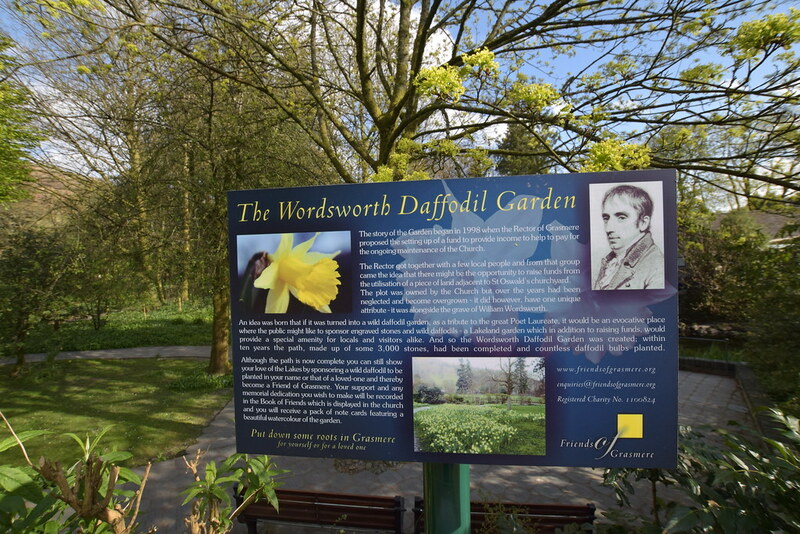 This is also where you will find the famous poet William Wordsworth graves and if you time it right ‘The Wordsworth Daffodil Garden’ (early spring). 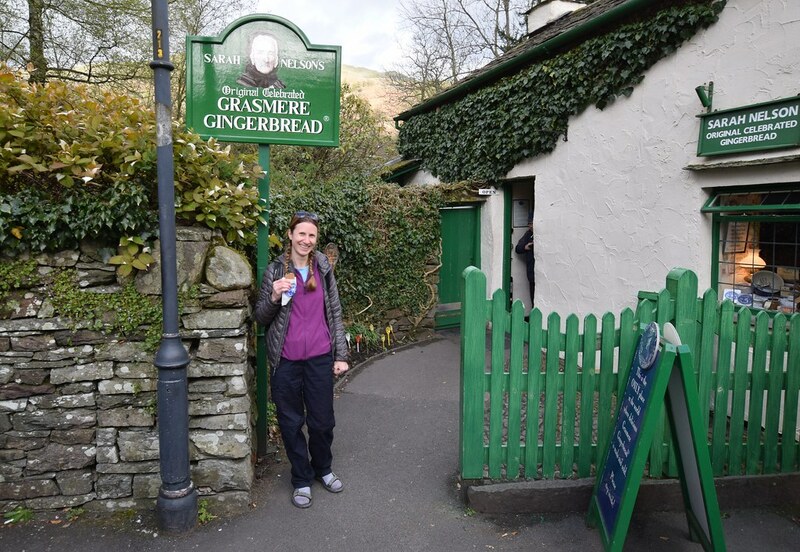 And one last place you must visit before leaving Grasmere is ‘Sarah Nelson’s Grasmere Gingerbread‘ shop. It’s the most delicious gingerbread I have ever tasted. And the only place in the world you can buy it from. Hopefully, now I have tempted you enough to add camping in the Lake District onto your bucket list for places to visit in the UK. 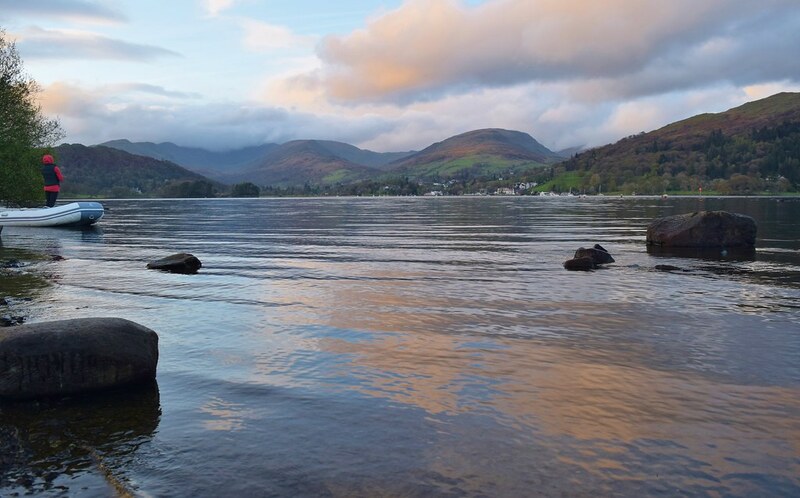 For more activities in the Lake District maybe try an experience on the Ullswater ‘Steamers’ or visit local attractions in the area including the Beatrix Potter house. **All opinions are my own. Sigg UK sent me this product for review. Lovely article! 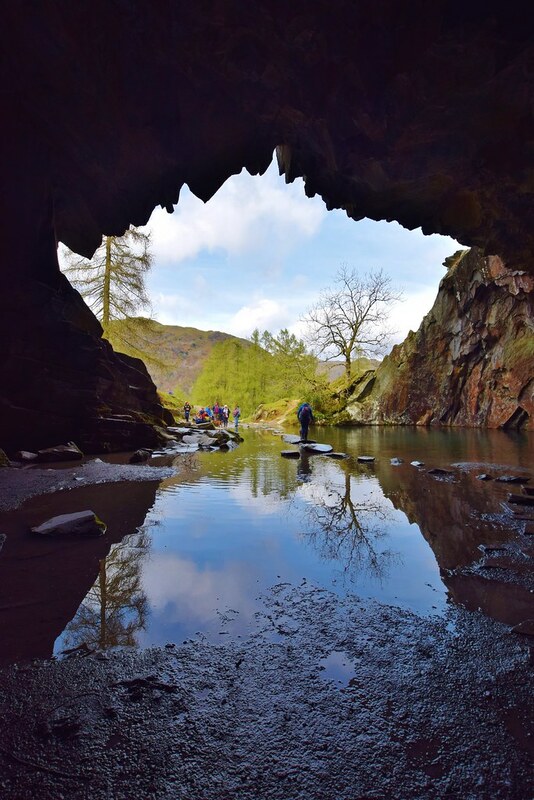 I live so close to the Lake District but there’s a couple of new places here that I haven’t seen yet – Rydal Caves and Wray Castle, so I’ll definitely be adding those to my list! 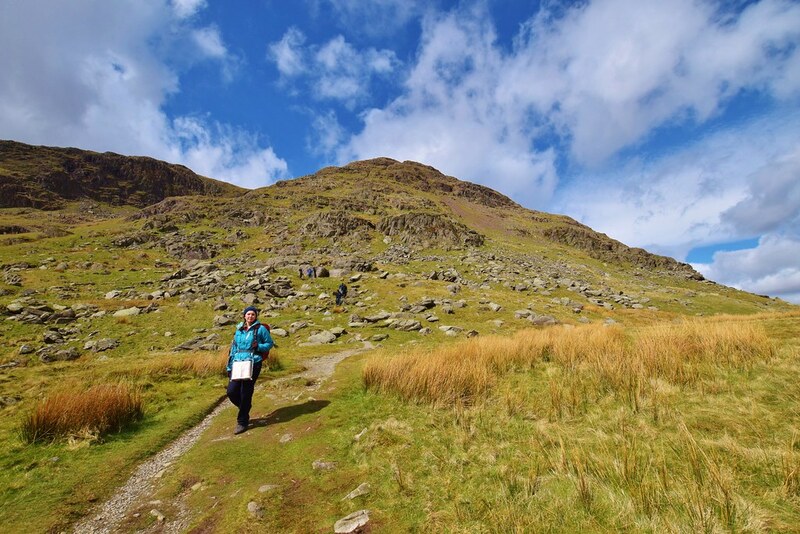 The Lake District is definitely one of the highlights in the UK for hikers. I’ve not spent as much time there as I would like, mainly because it can get insanely expensive (like the cake!) in peak season. Too crowded then as well. I like my hiking to be a quiet affair! I am definitely a fan of camping though and it does save you money to buy the cake! I love your photographs – you’ve done a great job of capturing some of the beauty of the area, and I like that you have an eye for some of the little things as well as just the broad landscape. You’ve inspired me to pay a visit before the school summer holidays begin. You’ve captured the Lake District beautifully. I love the little road you found that wasn’t planned. I love spontaneous finds! Yes I can imagine, it is so hard to fit everything in on a short trip. Ah I just love the Lakes. I don’t live too far away (Cheshire) but haven’t been for a while. Ambleside is so pretty. I’d recommend Hawkshead Brewery for your next trip! And have you ever been to Hill Top, Beatrix Potter’s house? That’s always been one of my favourites for the childhood nostalgia. Lovely photos by the way – it may have beautiful scenery but not always easy to capture when it could rain at any second haha. Such a beautiful part of the country. I would love to get up there one time! I’ve never done a proper hike but what a place to go to for it! Ah well the Lake District is a great place to do your first one! Lovely photos ! The Lake District seems definitely one of the highlights in the UK for hikers and nature lovers 🙂 It is incredibly picturesque. I think this is a beautiful region that more people would love to visit if they knew more about it. Love this post!! It looks so beautiful here. I would love to explore the boathouse and some of the caves near by. Absolutely stunning. I’m not too outdoorsy but I feel like I would love camping in the Lake District. It’s so scenic and beautiful and I would love the opportunity to explore it!